Nothing can heal the pain of a broken heart. 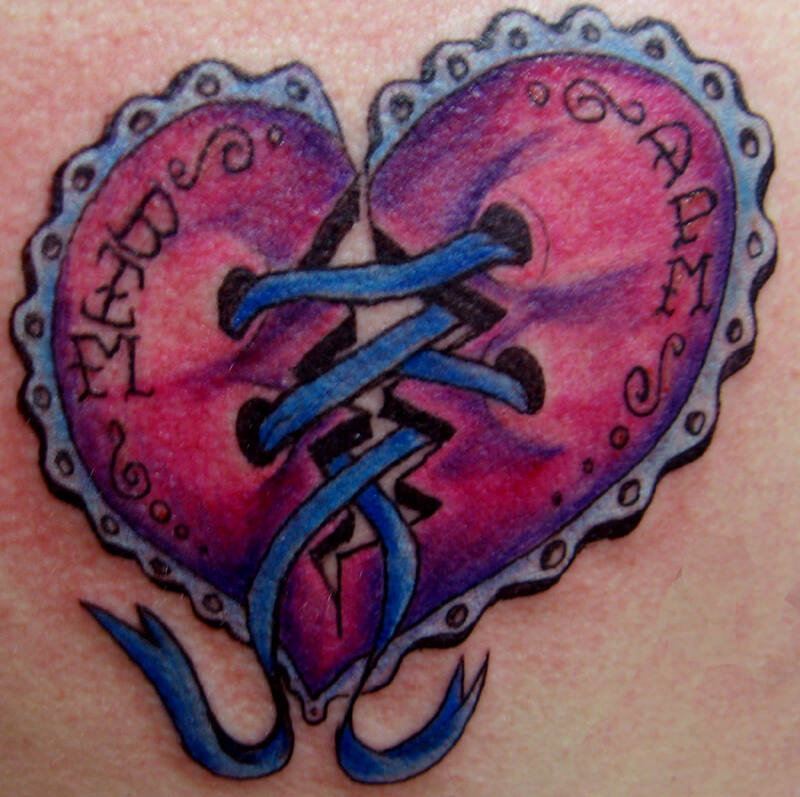 Well, a tattoo can surely help you in a creative manner. 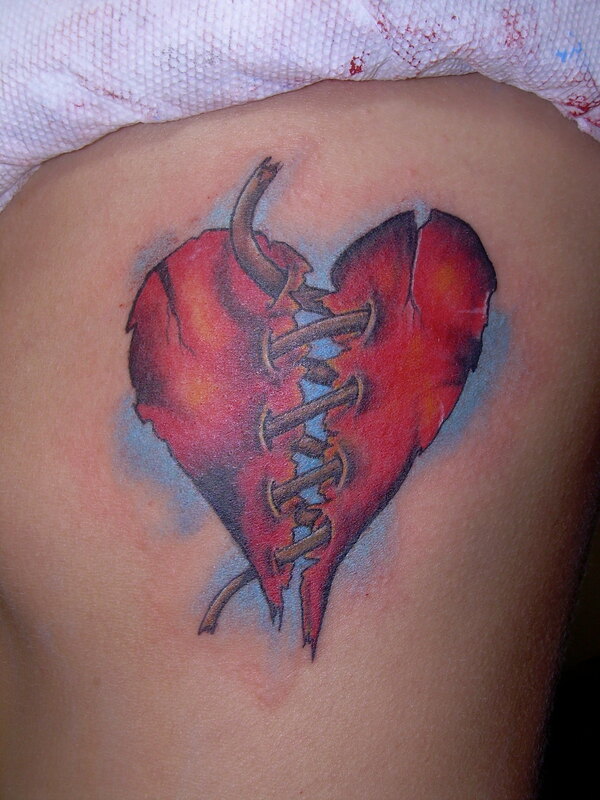 People, who have lost hopes in love, choose to wear broken heart tattoos to display their grief and pain. 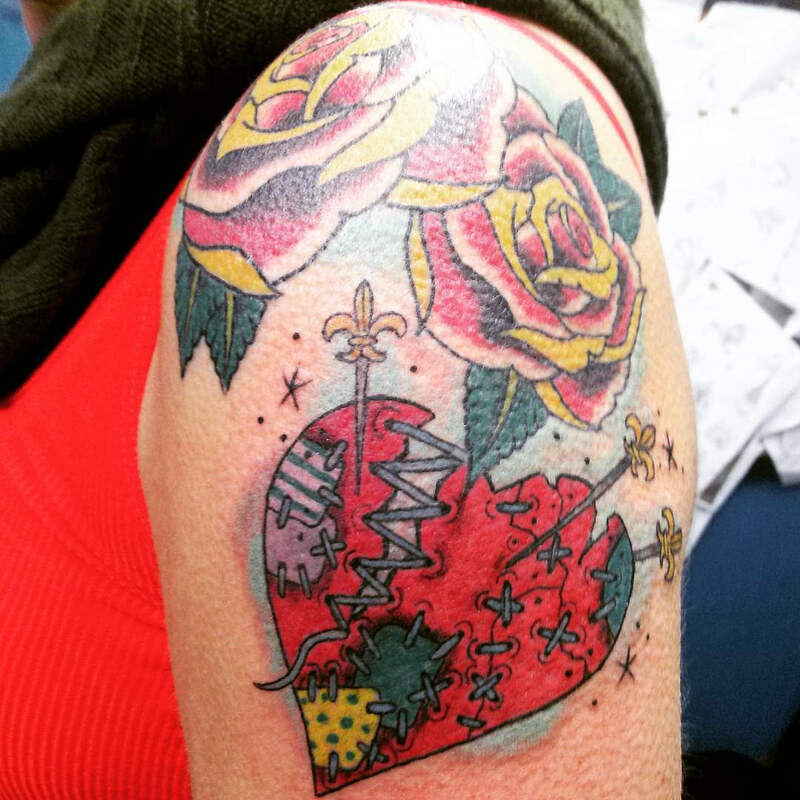 Like love, broken heart tattoo designs have been there forever. With love, comes the pain. 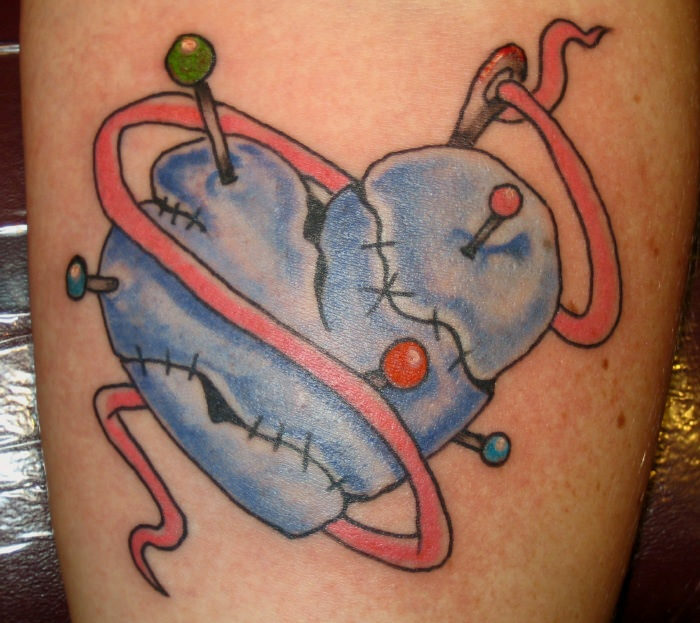 Heartbreaks have new symbolic representation now in the tattoo world. 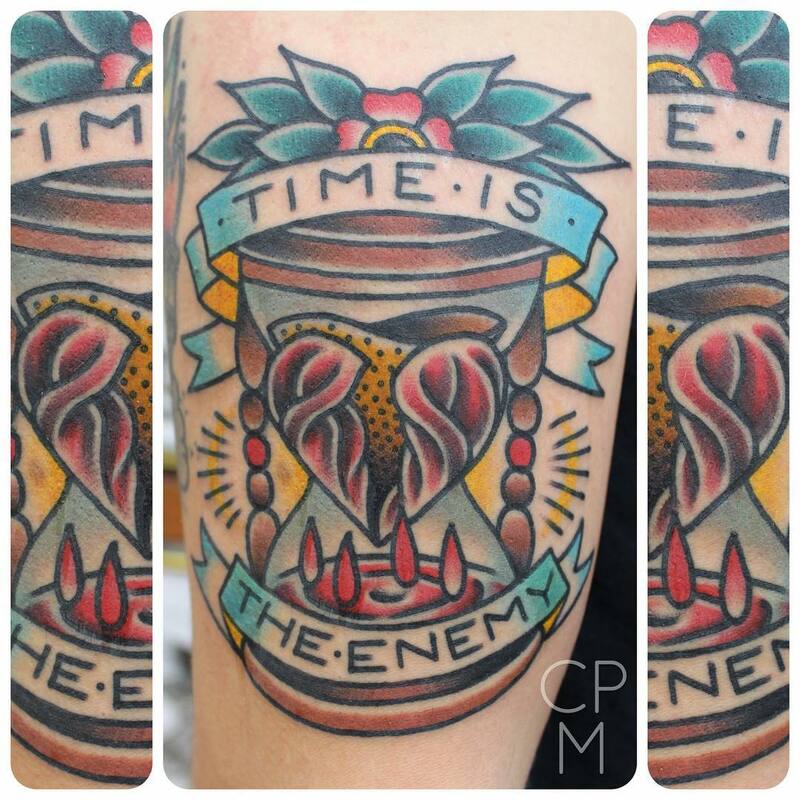 So many new tattoo designs and colourful ways are there to express your hidden feelings. 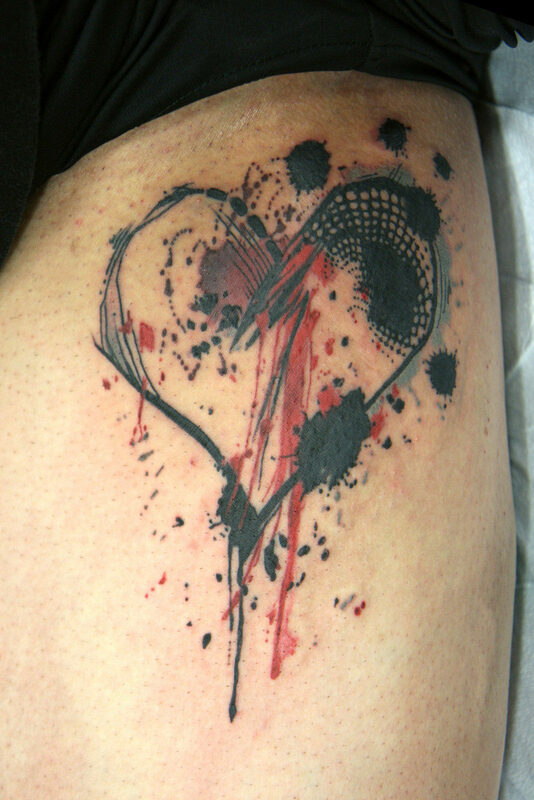 Broken heart tattoo design inked on your body would surely give you some relief from your pain for sure. 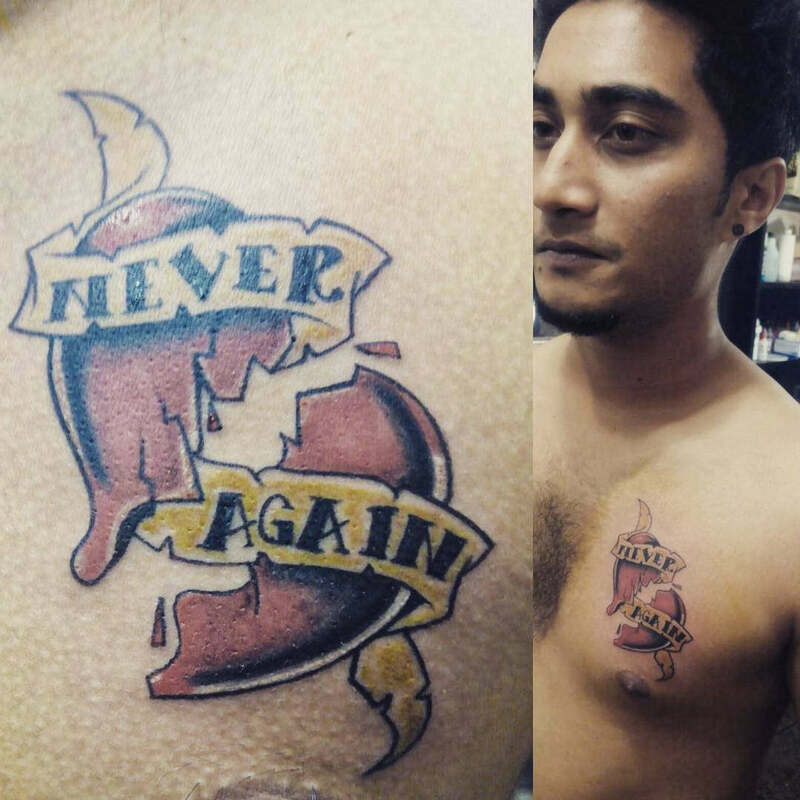 Expressing your pain with a broken heart tattoo is going popular among youngsters. A broken heart with wings, a tearful broken heart, a ruptured heart design, a heart with a stagger in middle and a bleeding real heart etc. 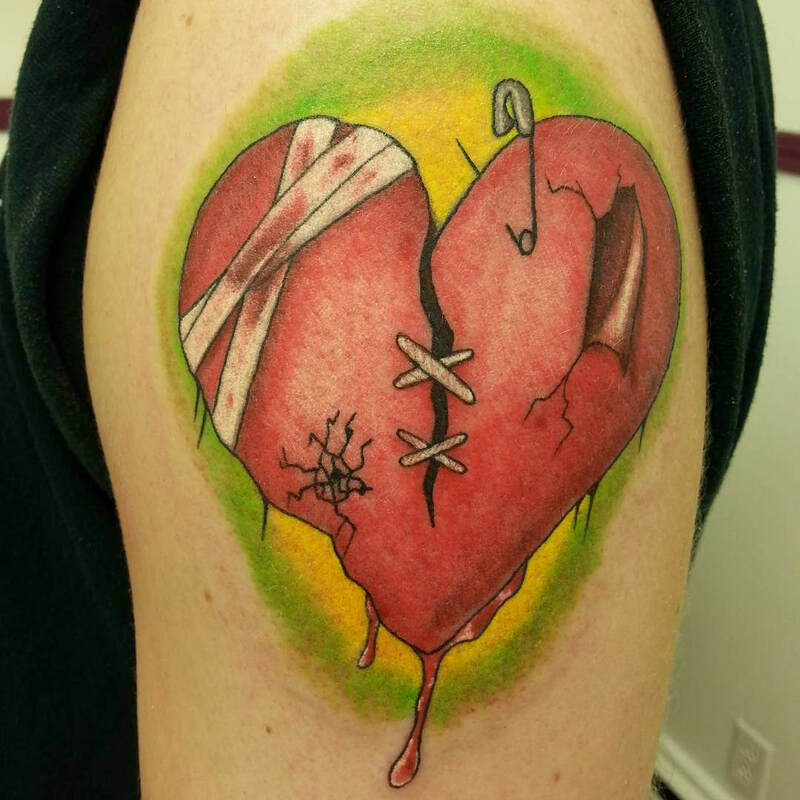 are famous broken heart tattoo designs. 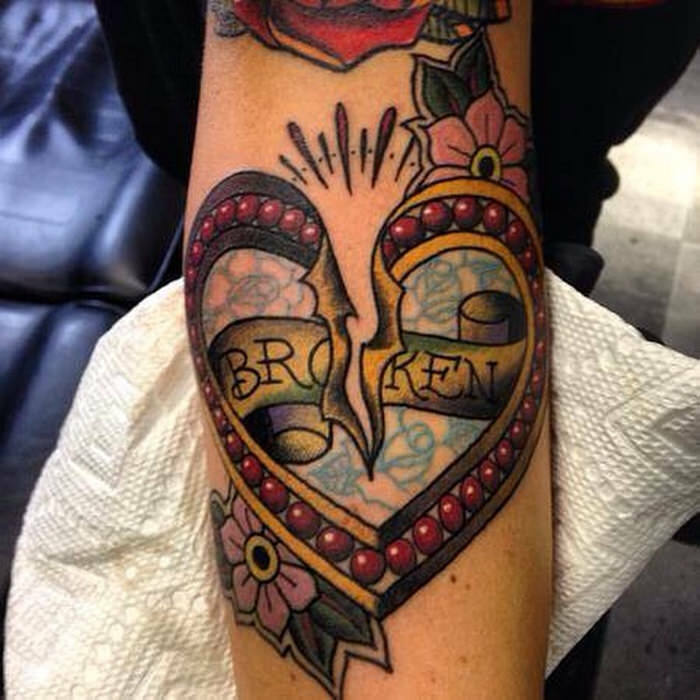 Broken heart tattoo is all about expressing your hope in love. 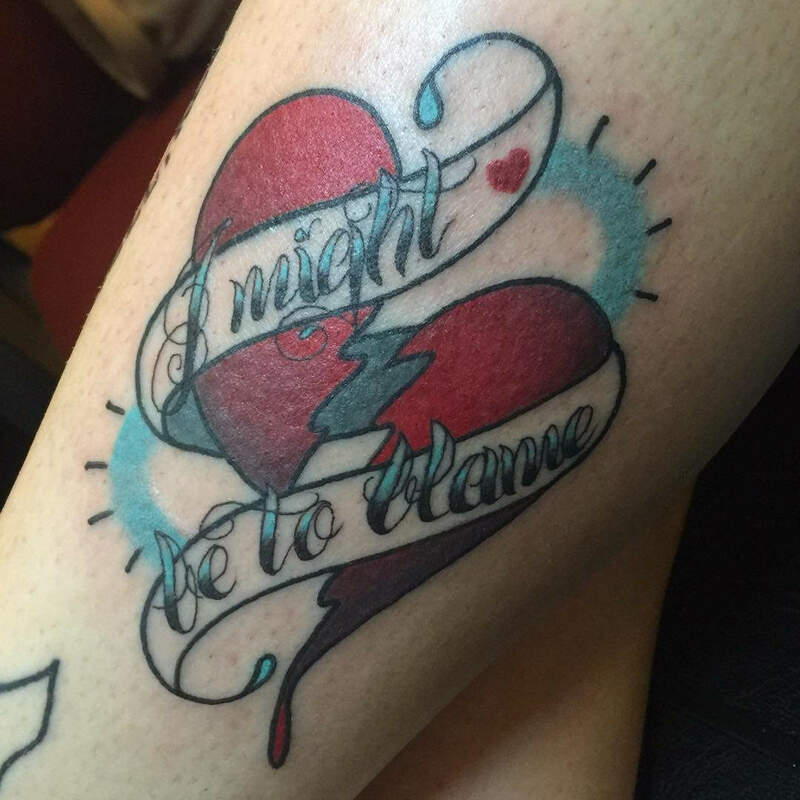 If you have been ditched by your partner or are suffering from a breakup with your lover, broken heart tattoos are best designs for you to choose from. 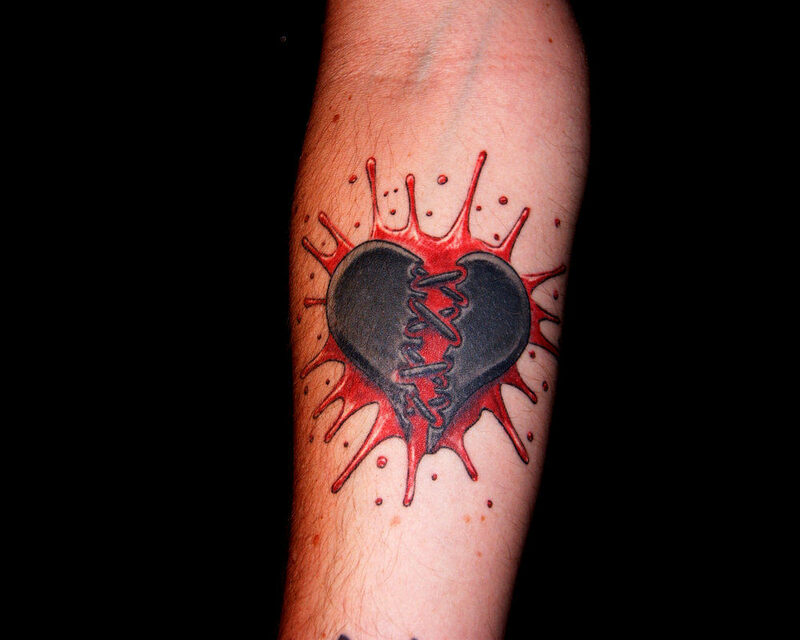 Usually, men go for more cruel looking broken heart designs with some tag lines to express their intensity of pain. 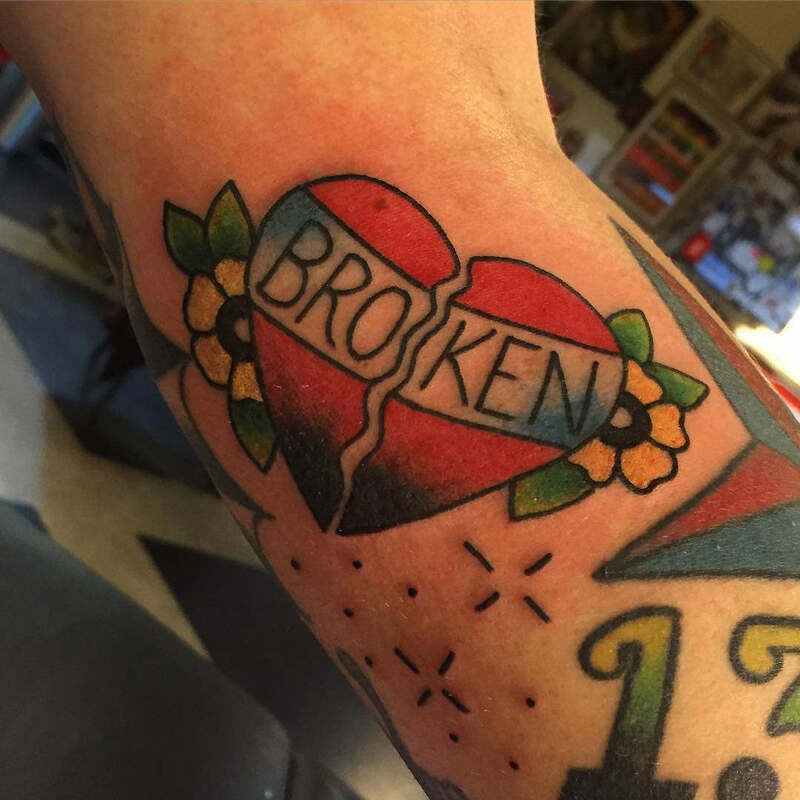 Women on another hand may prefer smaller designs with sobbing broken hearts.